The pressure to spring back into shape after having a baby is a very real thing for new mums. We are bombarded with images in the media of celebrity mums easily fitting back into their skinny jeans 2 weeks post birth and not to mention the disgusting magazine articles you see where mums ‘imperfections’ are photographed, zoomed in on and then given a big red circle of shame around them for added insult. There is a reason mums all over the country breathed a huge sigh of relief when Kate Middleton stepped out of hospital a day after having baby George back in 2013 with a very visible (and very real) mummy tummy. These are the images we need to see more of, new mums need to know that bouncing back into our pre pregnancy wardrobe in just a matter of weeks is not only unrealistic but it is unhealthy too. It can be hard to feel confident in your skin after having a baby, pregnancy changes our body so much and sometimes the body we are left with feels nothing like our own. 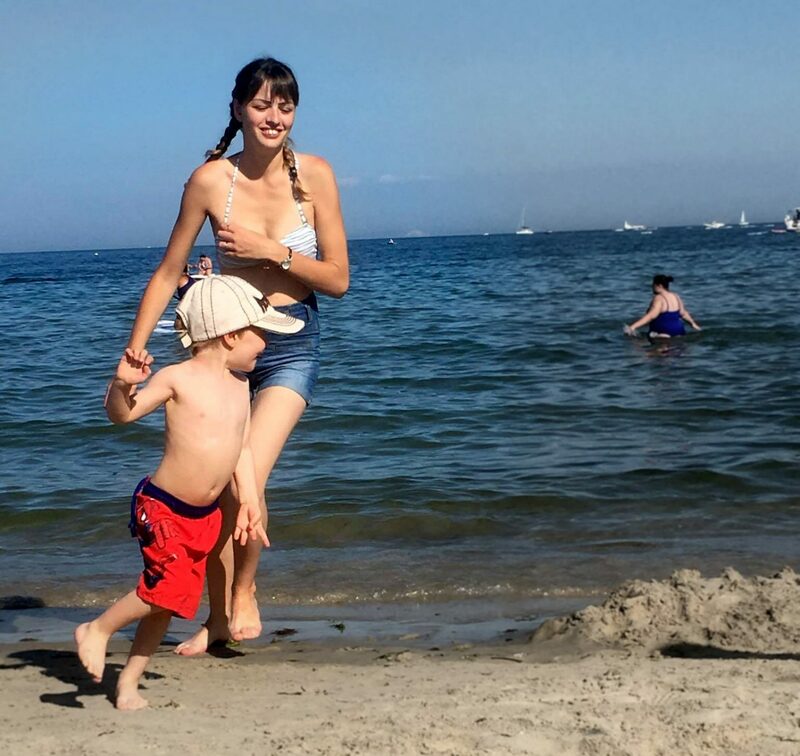 If you are a mum and feel like you are ready to start trying to get fitter and learn to love your new mummy body (and you should love it, it grew a human!) then I have just the post for you. Over the past 6 months or so I have been (loosely) following a brilliant new fitness program designed just for new mums, to help them get healthier and fitter and to love the new body their children have given them. Lean Mums has completely changed my attitude towards my postpartum body, I am now the fittest I have ever been and I feel amazing (you can read all about my experience using the Lean Mums programme here). Today I have an interview with Lean Mums founder and personal trainer Robbie, he is sharing all his expert tips and advice on how to love your body after pregnancy and shows us all that silly faddy diets are so not the way to go if you want to be fit, healthy and – most importantly – happy. Hi, Robbie! Tell us a bit about you and Lean Mums..
I’m Robbie, a personal trainer from Newcastle and I love helping people not only get in shape but stay in shape and enjoy happier, more balanced lifestyles. I created Lean Mums when my female clients who had young children were unable to get in to train with me. I realised that there was a need for a health and fitness solution that suited the hectic lives of mums so I created Lean Mums. I think mums get a really raw deal when it comes to health and fitness; magazines are full of misinformation and many mums are wrongly led to believe that if they can’t get to the gym then being fit and healthy is beyond them. I believe that busy mums should be able to enjoy all the benefits of being fit and healthy too, which is about more than just looking better. It’s about feeling healthier, happier and being the best version of yourself. Lean Mums is about making that as simple and stress free as possible. What advice would you give to mums who want to lose their baby weight but don’t know where to begin? My advice would be to just get started with simple changes that aren’t going to be overly taxing (you’ve got a baby to look after so it’s important you have enough energy for that). Maybe start by aiming to get out for a walk everyday and try to have one healthy meal per day. Don’t try to do too much too soon. It might not sound flashy but I’m a big believer that something is better than nothing, this definitely applies to new mums. Small changes that fit in with your life are perfect then you can slowly build on these and add more things in, maybe trying more some gentle bodyweight circuits for example. Which of your Lean Mums workouts would you recommend to a new mum who has never exercised before but wants to start getting fit? The first thing you must do is get the go ahead from your GP, once you’ve got that it still very important that you are careful. 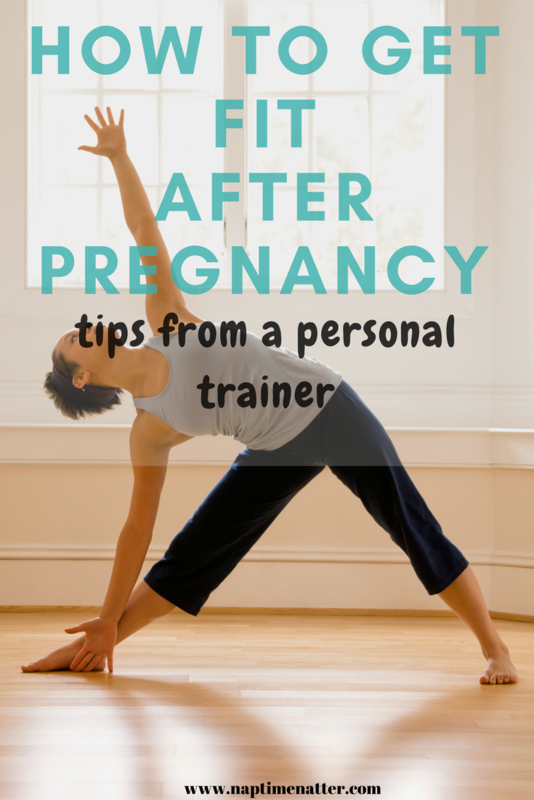 I always advise new mums to start with the 3rd trimester workouts from the website. This is obviously the most gentle and low impact of the 3 trimesters and is a really safe place to start. Once that feels comfortable you can try the 2nd trimester workouts, then 1st and at that point you are probably ready to start the regular Level 1 workouts and progress from there. Think of it as almost reversing out of your pregnancy. If you’d have trained during your pregnancy you would have gradually reduced the intensity, so it makes sense to gradually increase it too. What is your top tip for busy mums when in comes to eating healthier, especially those who feel like they don’t have the time to cook nutritious meals? Make life easy for yourself! Trying to come up with healthy meals off the cuff every meal time is never going to work. 1.Be boring. Don’t be afraid of having the same breakfasts and lunches if its makes life easier, then you can mix it up and vary your evening meals. 2.Plan for the week ahead. Take 5 minutes every week to plan your evening meals for the following week. Come up with 7 meals and list the ingredients you’ll need. 3.Do one shop. Once you’ve got the ingredients for those 7 meals, add in the ingredients for your breakfasts and lunches then go shopping and get everything in one big supermarket sweep! 4.Only buy what’s on the list! Not only will this stop you wasting money on food that ends up needing to be thrown out but also means you’ll stay away from the high calorie treats we often by on impulse. 5.Cook in bulk. Try to plan certain points in the week where you can cook a load of stuff in bulk. For example roast a load of vegetables and cook chicken breasts in bulk for lunches. 6.Cook too much. When you do cook, cook an extra portion or two and these can do for your lunches in the next few days. 7.Use your freezer. Whether it’s to store meals you’ve pre-prepared or frozen vegetables, the freezer is a god send. In your professional opinion, where do you think most new mums go wrong when trying to lose weight? I find that mums, like most people take the all or nothing approach. They often go from eating terribly and doing nothing to eating the most restrictive diet they can find and working out for hours on end. This never works! They end up tired, hungry and miserable. This is no use to anyone but even worse when you have a child to care for. I’m constantly telling the mums I work with to aim for progress not perfection; slow and steady is the way! The reason I hate crash diets is that they are unsustainable, and usually when people hit the wall they end up binging and eating more than they would’ve in the first place. How many people have you seen lose weight on a diet only to put it all back on and more? I encourage mums I work with to only start a diet that they can see themselves sticking to long-term. Which is why making small, sustainable changes to your existing diet is far better. Another mistake I see mums make is to underestimate the importance of diet, they think that training alone will get them in shape. Sure exercising will make you feel better and help you get stronger and fitter, but if you are aiming to lose weight then diet is super important too. No matter how hard you train it’s unfortunately not possible to out train a bad diet. Can you share 5 tips for easily making exercise and healthy eating part of your daily routine? 1.Do exercise that you enjoy. You’ll be far more likely to do it. 2.Make it a social thing and train with friends. You’ll keep each other going and hold each other accountable. 3.Be realistic. Pick workouts that suit you and your lifestyle. If you only have 10 minutes, 3 times a week to train then aim to make the best use of that. 4.Start slowly, make sustainable changes and let them become habits. This is the key to getting in shape and staying in shape. 5.Perfection doesn’t exist, aim for progress instead and go at your own pace. Is it ok to fall off plan sometimes or will it damage your progress? Of course it is! You will get ill, you’ll go out and drink too much, your child will get ill and stop you training, you’ll accidently order a pizza. These things happen to everyone but it doesn’t mean you need to quit. Just do what you can and keep progressing. What can Lean Mums offer new mums that the gym/other diets can’t? A realistic, honest and common sense approach to health and fitness for mums. Love the sound of Lean Mums? I can honestly say following this program has completely changed my attitudes towards healthy eating and exercising. I used to hate exercise and now I love exercise (seriously!) and I feel so much happier and my mental wellbeing is so much better when I put less junk food in to my body and eat healthily instead. If you are struggling to lose weight or just want to feel happier in your skin after pregnancy then I really hope that this interview with Robbie has shown you that it is possible to love your body again without embarking on a faddy diet. As Robbie says – it is all about progress and not perfection. How do you feel about your postpartum body? Do you feel the pressure the shed the baby weight as quickly as possible or are you happy to take your time and get sustainable results? I would love to hear your experie4nces and thoughts on weight loss after pregnancy. Disclaimer: I have a free membership to the Lean Mums programme. All words and opinions are my own, I only ever write honest reviews on this blog. This sounds like a great plan. There is so much pressure on us to look a certain way, it is easy to see why people go with these fad diets. oldhouseintheshires recently posted…#MyGloriousGardens September Link-up Party! This is brilliant, some really great advice and easy to implement. I know most people (me included) feel a great pressure to ‘spring back’ to pre-baby as soon as possible. I think any changes you make you need to enjoy and be happy. And learn to love your body, saggy bits and all. From what I’ve seen Lean Mums is fabulous. Now that Little Man will be at school I’m hoping I will find the time for some exercise of an afternoon. Thanks so much for joining us at #TriumphantTales. Hope to see you again tomorrow.